This year there are only five places to go Christmas shopping in Bali. Number One: Deus Ex Machina in Canggu, otherwise known as the Temple of Enthusiasm. I’m enthusiastic about shopping here, not only because there’s something for everyone (it’s a one stop shop), but also because you can eat. And listen to great music. And there’s no traffic jam to get there. And there’s no problem parking. And you can shop until 9:30 at night. Bring the whole gang, feed yourselves, get your shopping done, and don’t squander any precious playtime stuck in traffic or having aggro over where to get what for who. Big presents for the big people in your life? No problem. An art bike like the Deus Furioso. How gorgeous is that? It’s a real vixen with its deceptively cute logo. Just look at that robin’s egg blue tank; surely there’s no sweeter way to be wicked. Stocking stuffers? Not an issue. There’s tons of small stuff here. Stickers, church-key key-rings, and board wax, for starters. What about relatives and girlfriends? Checkered wind-whipping finish line scarves. Clothes that won’t wear out. 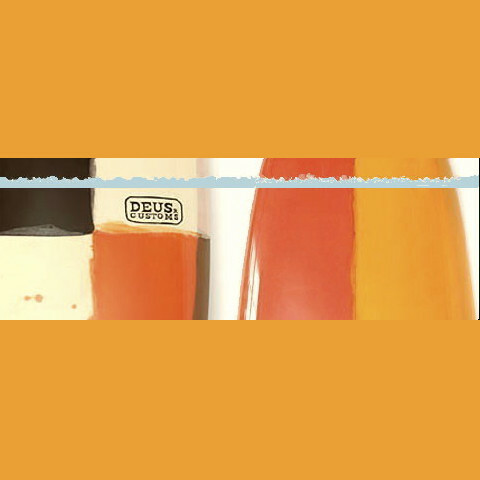 And Deus-imprinted sweat towels would do great as tea towels for Gran. How about a hat for her old man? Someone special? Or gift for self? On yer bike. Tell your brother to get dressed already. In a Deus shirt. Arty friends with a new house? Give pictures and posters (easy to wrap). And even easier to wrap, and suitable for anyone, like people at work, like people you don’t even really know very well? Books. And, of course, boards. And what boards they be. Bags? Shoes? Shorts? Shades? Check, check, check, and check. Helmets? Yup. Fins? Take your pick. Rare DVDs? Ada. Optically optimal retro aviator goggles? Plenty. Or how about commissioning a portrait of the one and only YOU for your mom, by D Hump, Deus photographer in residence? If you can afford him, he’ll do right by you in the Deus photo studio out back. Get immortalised. Get immortal. Deus Ex Machina Bali. If you gotta shop, you might as well shop good. Hi Dustin (below, with bike)!